Basic Carrier Bars for Roof Rails. Silver/black. Tubular aluminium crossbars. Coated steel supports. Stainless steel fastening mechanism. Plastic end caps. 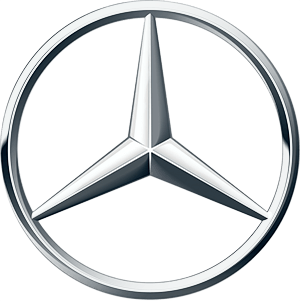 For various Mercedes-Benz accessories such as bicycle racks- roof boxes- etc. Tool-free fitting. Alustyle Easy-Fix II basic carrier bars for roof rails. Aluminium carrier bars- precision-tailored to the body of your Mercedes-Benz - the perfect basis for a range of Mercedes-Benz transport accessories: ski and snowboard rack- bicycle rack or roof boxes. Fitted in next to no time without the use of tools- thanks to new- innovative quick-grip fasteners. Aerodynamic Mercedes-Benz design with optimised noise level. Crash-tested. Lockable.